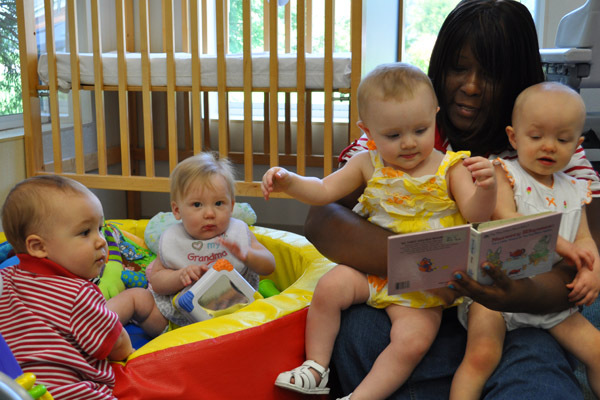 We read books and sing songs including our ABC's every day. In our group time we learn where our eyes, ears, nose, and mouth are. We learn our ABC's, numbers, colors, and shapes. We learn through playing in our centers and on our own playground. We have fun with painting, pasting and coloring at art time.